Since 1976, our reputation is your guarantee. Rug dealers and collectors from around the world have trusted their irreplaceable treasures for one reason - We Know Rugs. 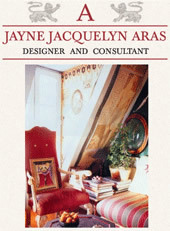 Aras Rug Company is one of the most experienced businesses in the country. Since 1976, we've worked with it all. Whether it's fire, water, pets or just needs its annual cleaning - we know how to treat your rugs. We specialize in all types of rugs with a special emphasis on cleaning oriental rugs, silk rugs, delicate antique rugs and animal skins. Whether you have an 18th century valuable masterpiece or a simple doormat, and whatever the soiling condition or damage may be, we will apply all of our expertise to your job. Unlike many rug cleaning companies, we do all our work in our very own cleaning plant. You can be assured that your precious rugs will never leave our state of the art facility. We eagerly await the expression on our customer's faces when they see what a great job we've done with their rugs. At Aras Rug Company we have all the equipment to ensure the best cleaning of your rugs possible. From our powerful dusting machine to our well-equipped dry room, we have the best tools to clean your rugs professionally. We want our customers to be happy and therefore we offer a 100% satisfaction guarantee. If you are not thrilled with the cleaning experience, we will do everything necessary to make it right. After reviewing the rug for any apparent special conditions, we will ask for the customer's work authorization. With written documentation, the rug will be tagged, cleaned and invoiced accordingly. Using the Mor-duster and power of compressed air is our safe and thorough method of pre-cleaning rugs. of stains and problem areas. An expert hand washing in a submersion bath assures you that a complete cleaning is being formed. Our triple rinse system will flush away of both soils and cleaning agents. Climate controlled dry room, where both temperature and humidity are monitored automatically to provide the best drying environment. Final spotting to remove any foreign matter possible will be done with safety considerations toward the fibers and dyes as a priority. Hand wash fringes, comb and trim if necessary, vacuum and wrap in paper or plastic. Our rewearing abilities are an important and valuable service which is available with a individualized quote for each rug. This padding will protect both your rug and your floor and it is a good investment for personal safety. Call Now for Free Pickup and Delivery!